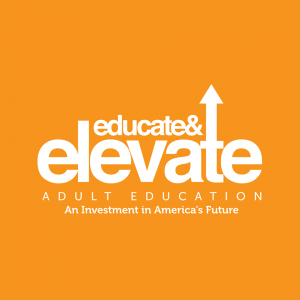 Home » Affiliate News » Educated & Elevate Adult Education! Educated & Elevate Adult Education! Comments Off on Educated & Elevate Adult Education! On February 9, President trump signed a Continuing Resolution that includes significant increases in Non-defense Discretionary spending and offers the opportunity to increase funding for Adult Education, among other programs. Now, each Appropriations Committee must decide how to allocate its new funds. SENATOR JACK REED (Rhode Island) is proposing to increase funding for Adult Education by $100 million (a roughly 17 percent increase) from about $582 million to about $682 million. Please contact your legislator today to let them know how critical this funding is to our work. You can send them an email, make a call, sign our petition, and forward this on to your colleagues, adult learners, family, and friends. Now is our time to come together on behalf of our field! Click “Take Action” below, enter your contact information and click “SUBMIT” to preview the editable letter we will send on your behalf to Congress, Governors, and Mayors. If you are interested in helping with the 2019 Conference – you are welcome! Contact Lorraine Gardner at gardnelo@otc.edu.